Can of 200g, 250g, 280g, 300g, 340g, 500g, 800g, 1000g, Disposable cylinder 30 lb/13.6kg, 50lb/22.7kg ; recyclable cylinder 50L, 100L, 400L; 800L, 926L; ISO-TANK. 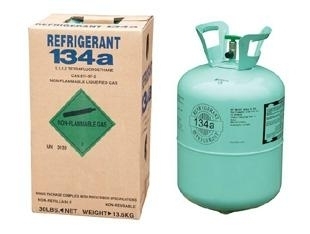 R-134a as the most widely used in low environmental refrigerant , due to the good performance , it is very effective and safe to substitution CFC-12 , mainly used in refrigerators , freezers, water dispensers, auto air conditioning, cetral air conditioning dehumidifiers , cold storage , commercial refrigeration, ice machines , ice cream machines , refrigeration condensing units and other refrigeration equipment. 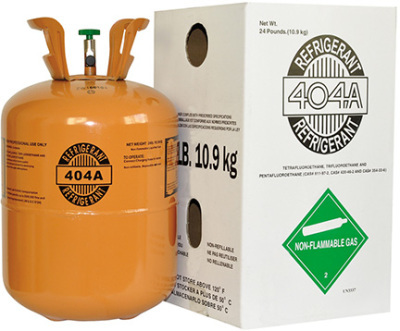 Disposable cylinder 24 lb/10.9kg, 22 lb/10 kg ; Recyclable cylinder 50L, 100L, 400L ; 800L, 926L; ISO-TANK. 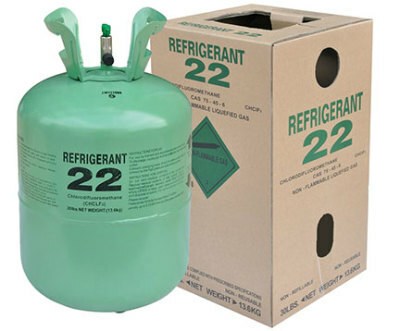 It is applied in the field of commercial refrigeration systems of R-502 and R-22, long-term substitute . 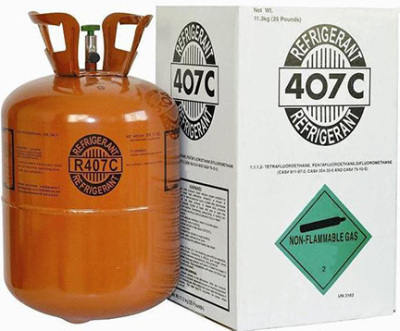 R-404 A is widely used in supermarket freezers , cold storage , display cases, transport refrigeration , ice -making machine and other fields. Disposable cylinder 25 lb /11.3kg , 22 lb/10kg; Recyclable cylinder 50L, 100L, 400L ; 926L ; ISO-TANK. 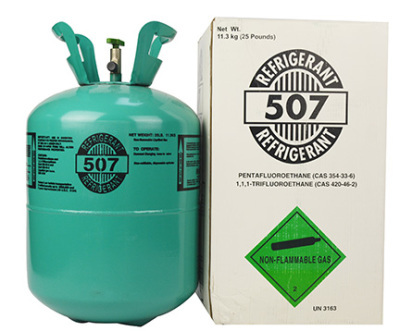 R407C environmentally friendly refrigerant used to replace R22 and R502, with clean, low toxic, non-flammable , cooling effcet and good features , a lartge number for the air conditioning industry. Disposable cylinder 7.5 lb /3.4kg, 15 lb /6.8kg,30 lb /13.6kg, 50 lb /22.7kg, Recyclablesteel cylinder 50L, 100L, 400L; 800L, 926L; ISO-TANK. 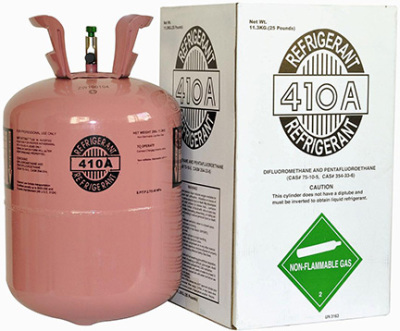 For reciprocating compressors , used in housedold air conditioners, central air conditioning, mobile air conditioning and heat pump water heaters , dehumidifiers , refrigerated aryers , cold storage food freezing equipment, marine refrigeration equipment, industrial refrigeration , commercial refrigeration , refrigeration condensing units , supermarketthe display cabinets and refrigeration equipment, applicationamount is the largest amd the widest range of applications a refrigerant varieties; HCFC-22 is also used in large quantities as PTFE resin raw material and intermediates of gasextinguishant 1121.